Subcategories for Selling a Home are listed below to provide more narrow searching within the Selling a Home category. Selling your house can be surprisingly time consuming and emotionally challenging. It is often more emotional to sell a house than to buy a house! The reason for selling your home may determine the factor of your sale. 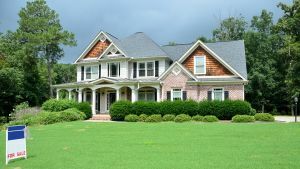 A short sale home refers to property that is being sold to prevent foreclosure. In most cases, the homeowner has fallen behind with their mortgage payments and does not possess the financial means to repay the note.